Although it's still only February, if you're like me, you're already feeling the itch to give your home a spring refresh. New spring collections are already dropping (if you haven't already checked out Anthropologie and Zara's newest lines, don't hesitate) and it's time to embrace bolder colors, patterns, and prints as you welcome in the warmer weather. If you're worried about refreshing your home while staying within your means, don't fret. Decorating on a budget doesn't mean you have to exclusively shop at affordable retailers. In fact, you'd be surprised how much home décor you can find from high-end stores that won't blow your budget. Take West Elm for example. Although bigger ticket items like sofas, tables, and chairs may do cost a pretty penny, there are countless smaller décors to choose from at reasonable prices. Think throw blankets, modern planters, sophisticated wall art, pillows, mirrors, decorative objects, and so much more. Don't forget, the sale section is your friend. 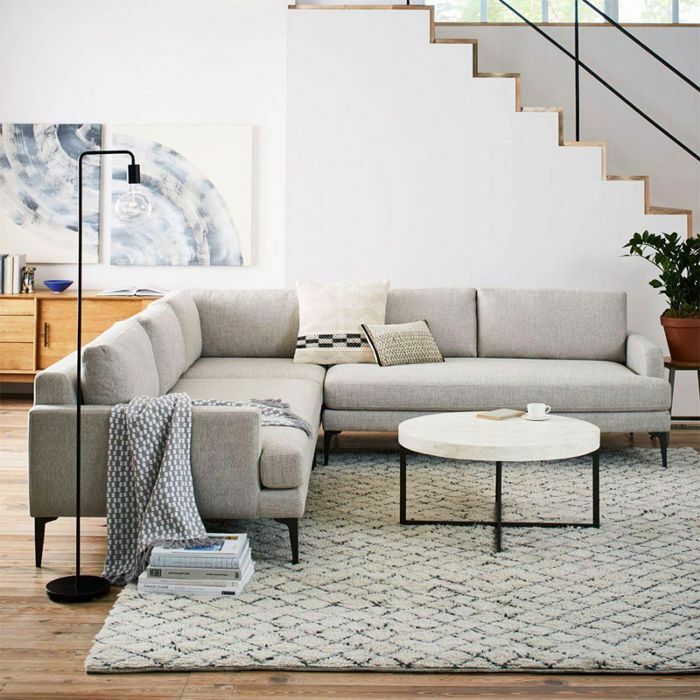 West Elm consistently marks down items that you can snag at a fraction of their original cost. But don't take my word for it. Shop 16 pieces of West Elm home décor all under $100 for yourself below. Here's what's in my cart this month. 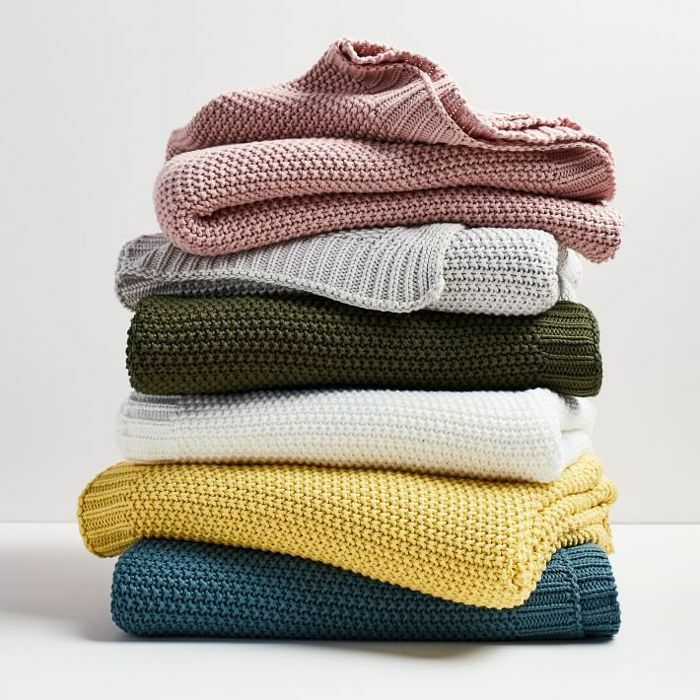 While you might associate blankets with the winter season, these cotton knit throws come in a variety of colors fit for spring. Plus, they're made out of a lightweight material so they won't overpower your space or feel out of place in the springtime. 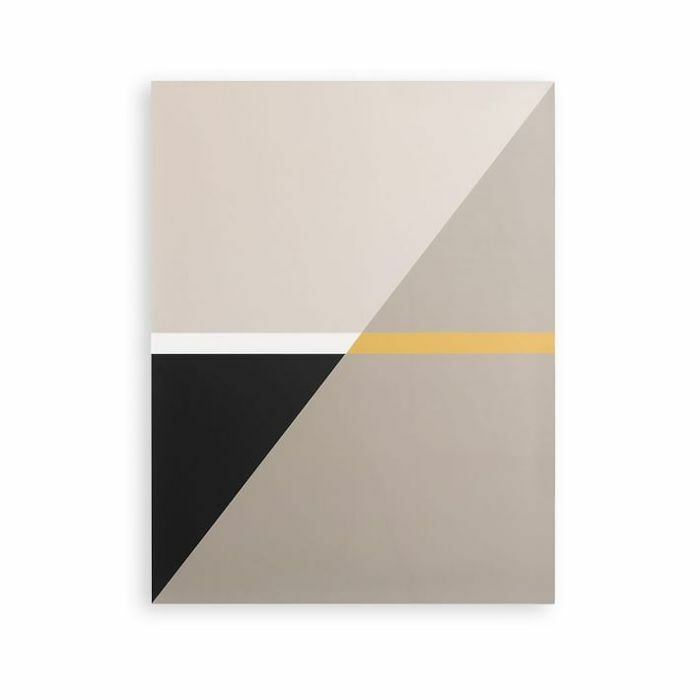 For less than $100 this minimalistic graphic print designed by Alexandra Gray Bennet and Jocelin Johnson can be all yours. Hang it alone or side by side with another print for a striking look. This unique piece combines the functionality of multiple planters with the style of a folding screen. The earthenware color scheme screams spring and the design is completely intriguing. Add any type of botanical to the pots to finish off the look. Perhaps a low-maintenance succulent or a faux fern. Every home needs a sophisticated table runner to deck the dining room table with when hosting guests. 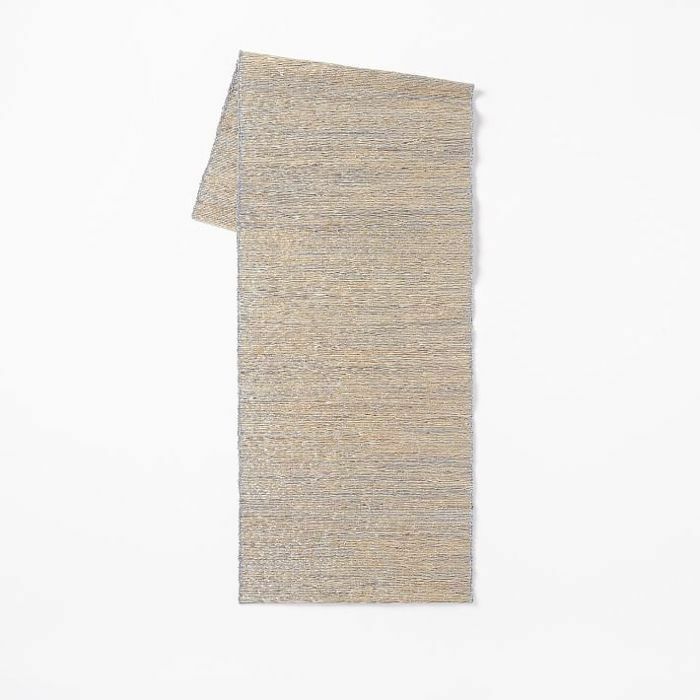 This one combines gleams of metallic material within the woven design. This handcrafted objected will feel one-of-a-kind in your home. 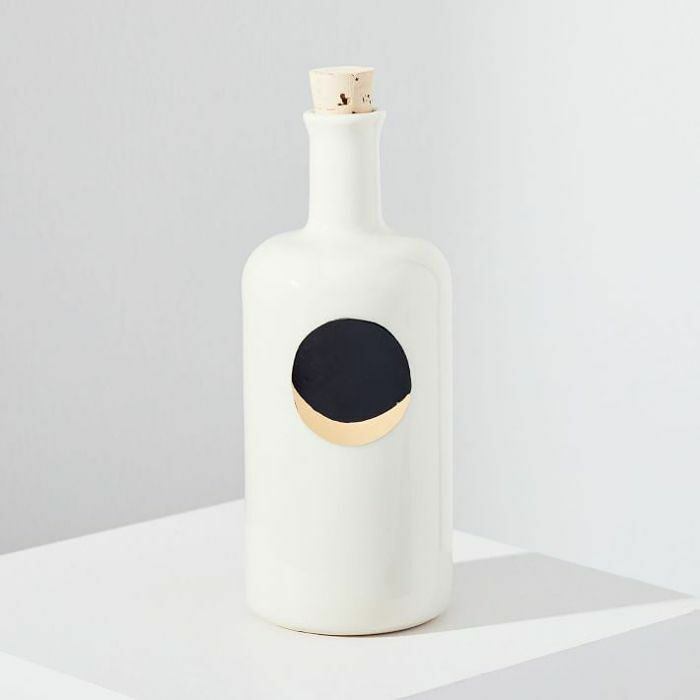 It's a porcelain jar featuring a handpainted waxing moon complete with gold leafing. Not only is it decorative, but it's also food safe and watertight just in case you want to take advantage of its functionality. For a seriously quick and easy upgrade, slip a new pillow cover over your throw pillows in the living room or bedroom. 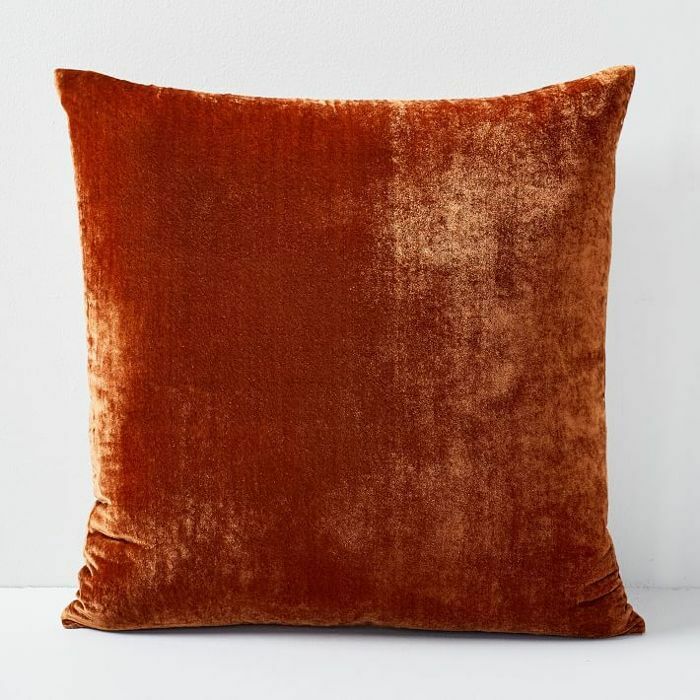 This one comes in a rich burnt orange shade with a luxe velvet texture. The quickest way to revamp your kitchen is with a few new sets of flatware. This one comes in a modern design and is made of an elegant gold material. 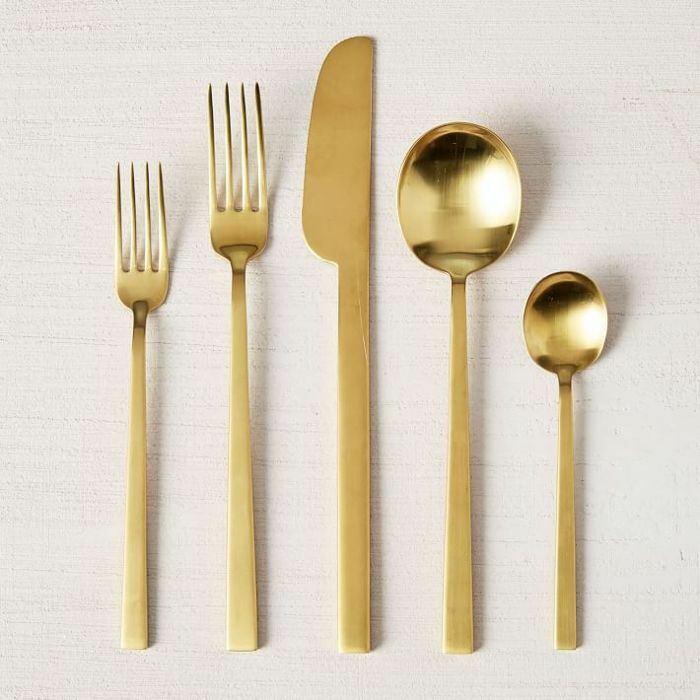 You'll feel fabulous no matter what you're eating when you pick up this set. 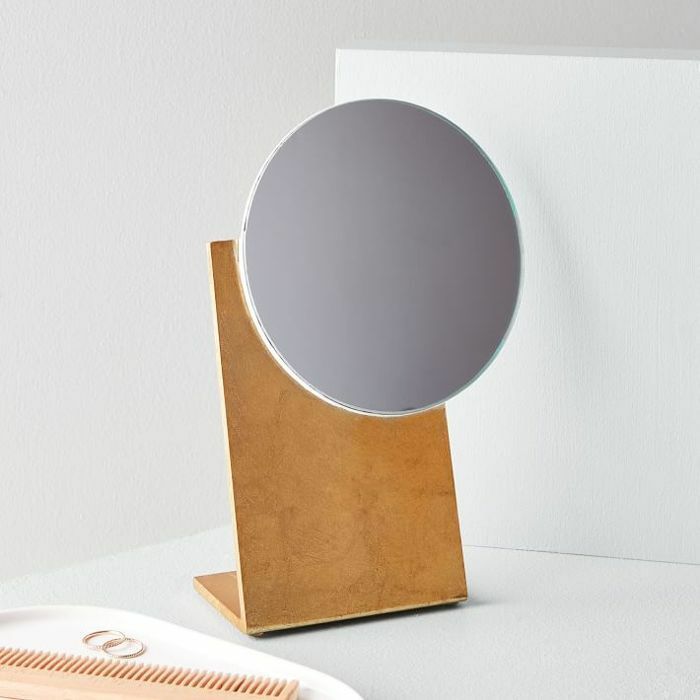 A small decorative mirror, this design makes an impact. Pair it with a cluster of other delicate mirrors or let it stand on its own. 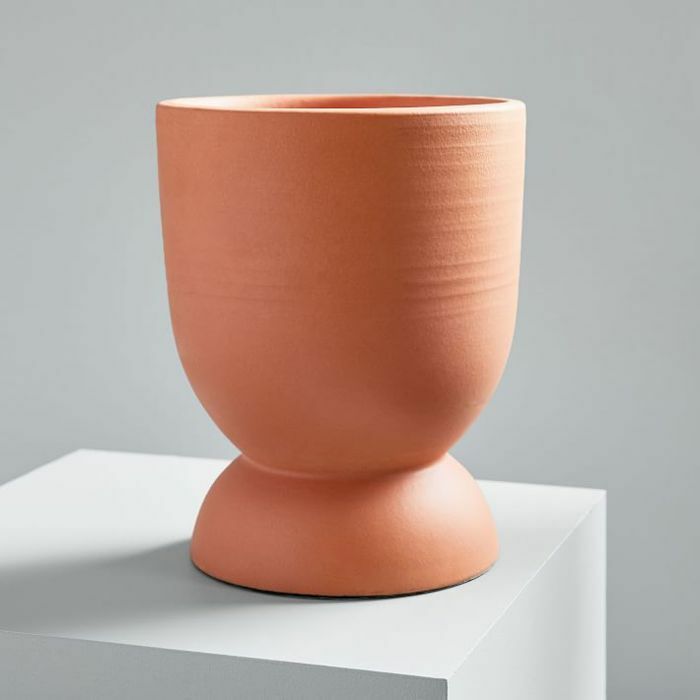 Terracotta was one of the biggest home décor trends of 2018 and it doesn't seem to be going anywhere. 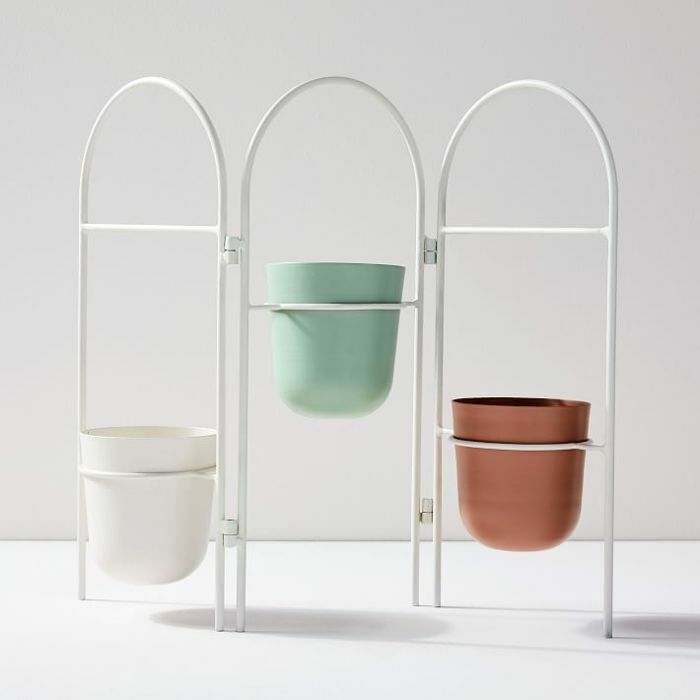 Bring the look into spring with the planter. It's perfect for holding a live or faux plant. 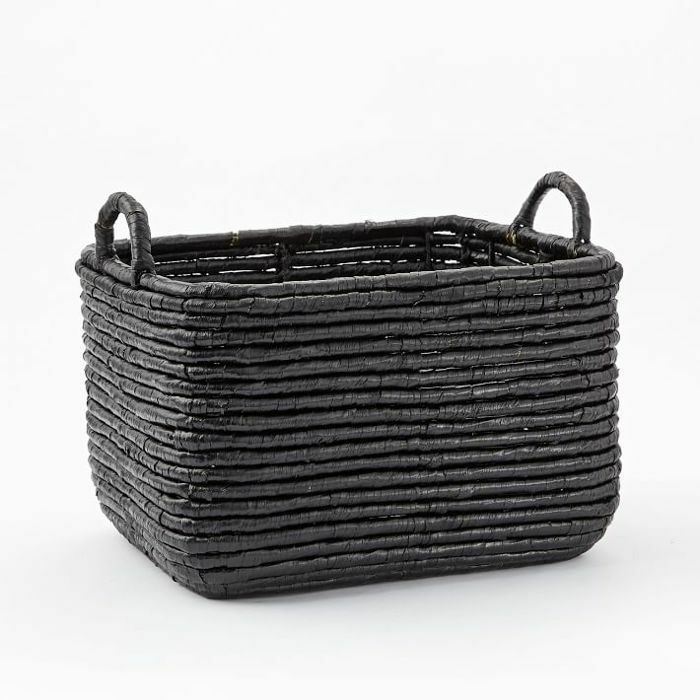 The perfect vessel for spare magazines, throw blankets, and more, this black woven seagrass basket is timeless. For all of your spring entertaining, you'll need statement-making bowls to serve up everything from snacks to sauces. 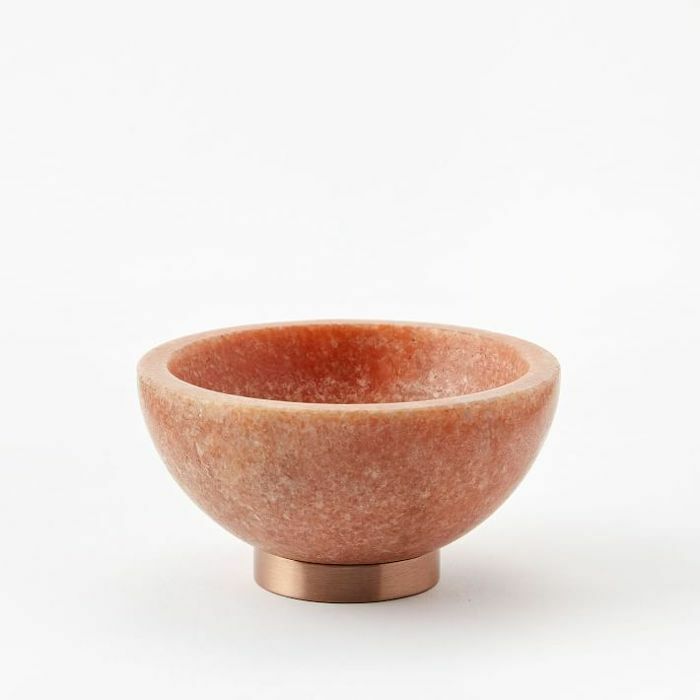 This pink marble and copper item looks timeless and chic. 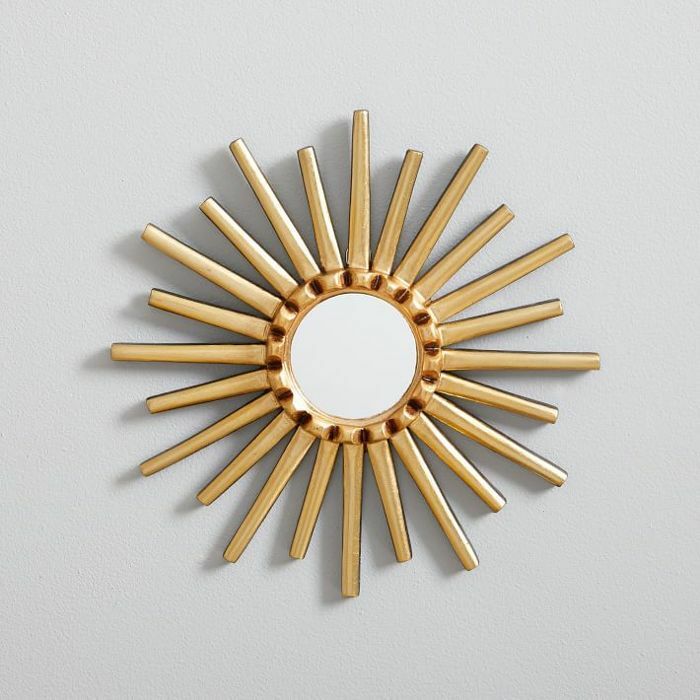 Adorn your bathroom counter or bedroom vanity with this asymmetrical mirror. It's finished in real gold leaf foil for a look that's undeniably glam. 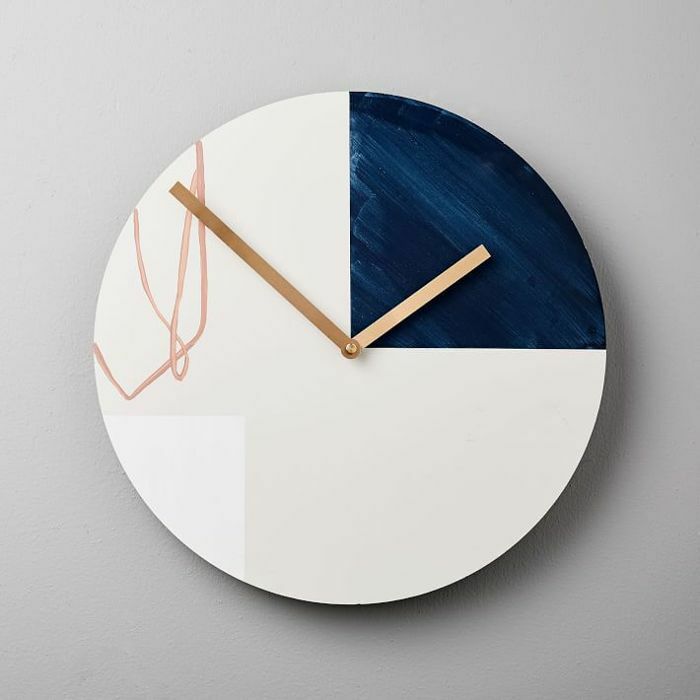 This abstract clock would freshen up any space. The lack of numbers on the face creates the illusion that time is irrelevant and the playful scribble and colors add visual interest. 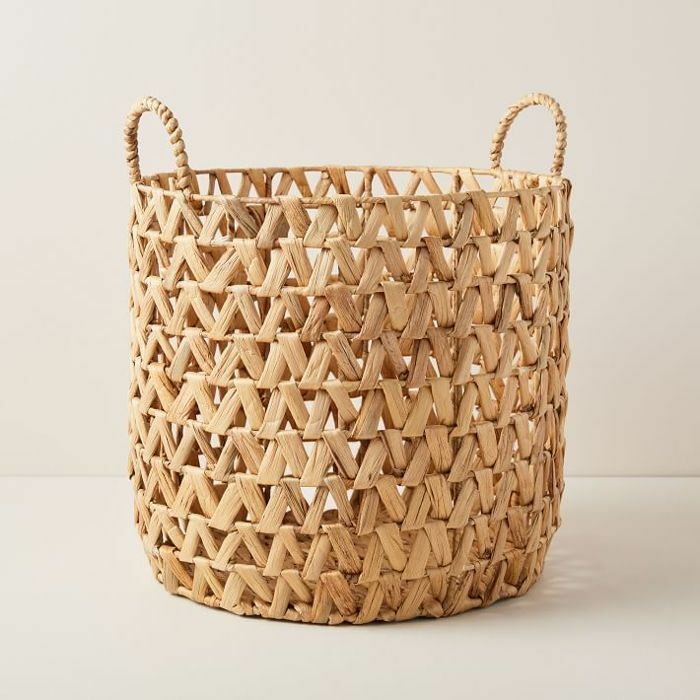 There's no chicer way to store clutter than in a natural, textured basket. It's equal parts functional and decorative. A speckled terracotta object is just the thing to adorn an otherwise plain mantle, accent table, or bookshelf. 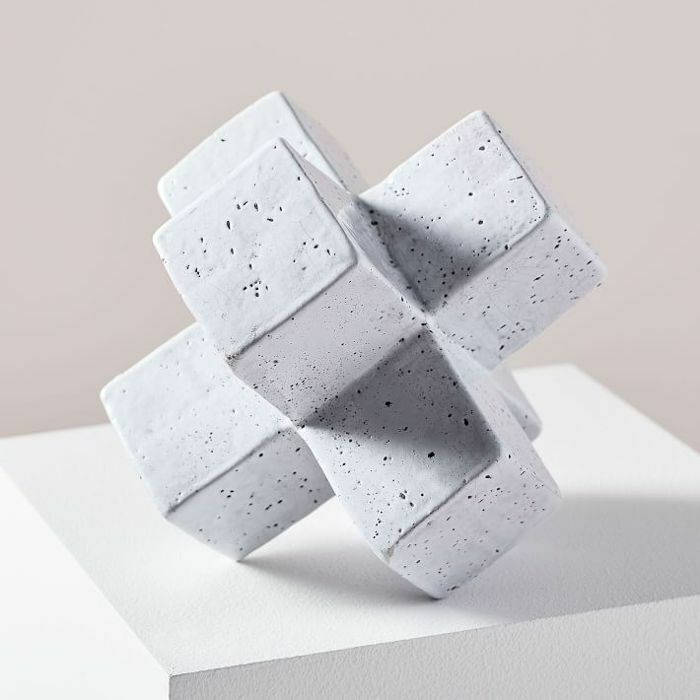 The geometric shape and earthenware texture catch the eye. 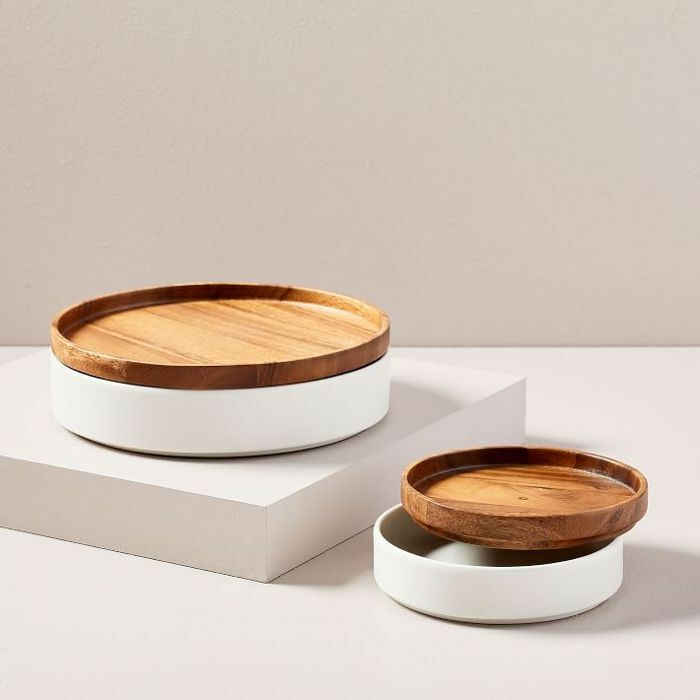 Spruce up your tableware with this ceramic and wooden set. Both pieces work separately as trays or together as containers. 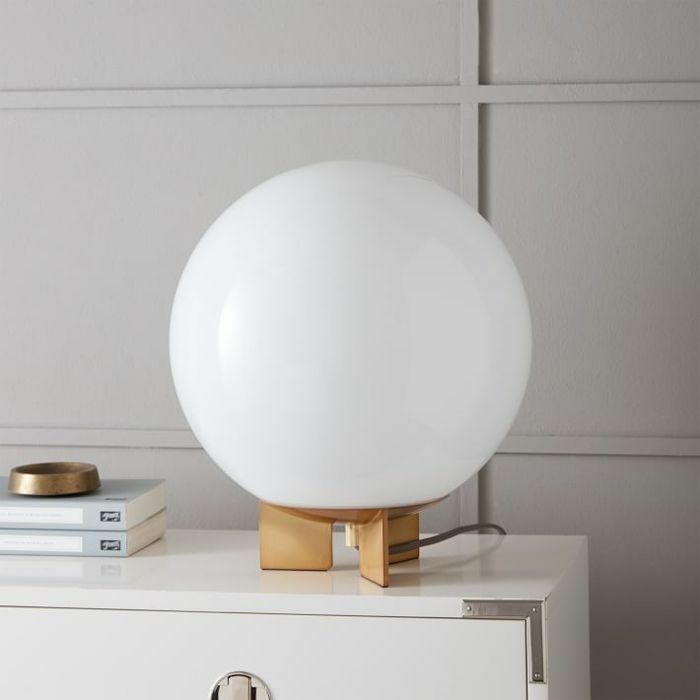 For a contemporary table lamp, go for a globe design. It's chic, minimal, and feels fresh thanks to the lack of a lampshade. Next Up: 9 game-changing West Elm shopping secrets from an insider.